Made in the USA. Lifetime Guarantee. Flat Rate Delivery. 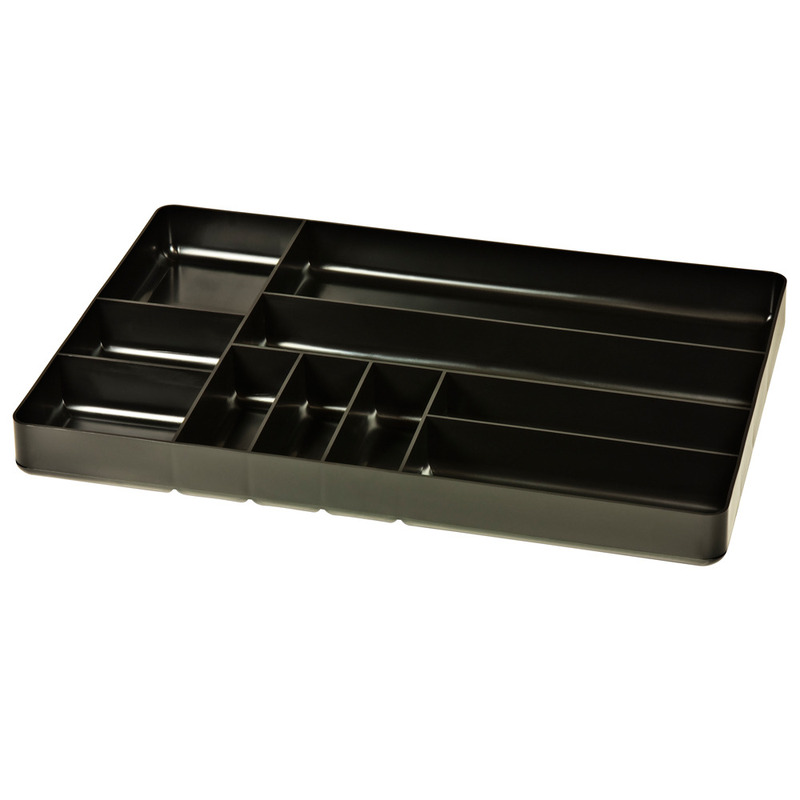 This 10 compartment black tool tray is stackable and fits shallow drawers. Fuel and solvent resistant material. Lifetime guarantee. Made in the USA. We are excited to bring affordable toolbox organisation for the first time in Australia. This sturdy tray is stackable. Made from fuel and solvent resistant materials. Made in the USA. We believe this to be the best on the market and we invite you to come to our Sydney Showroom and have a look. DISCOUNT: Receive 5% off your order when you spend over $2,500*. Receive 10% off your order when you spend over $10,000. Tax deductable? GST credits? We provide a tax invoice with every purchase. If you're a tradesman or use a toolchest/cabinet for work purposes, you may be able to claim a tax deduction (check with your accountant). 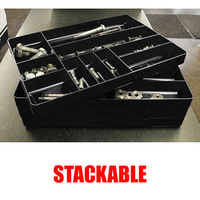 *Discount does not apply to 60" Toolboxes. 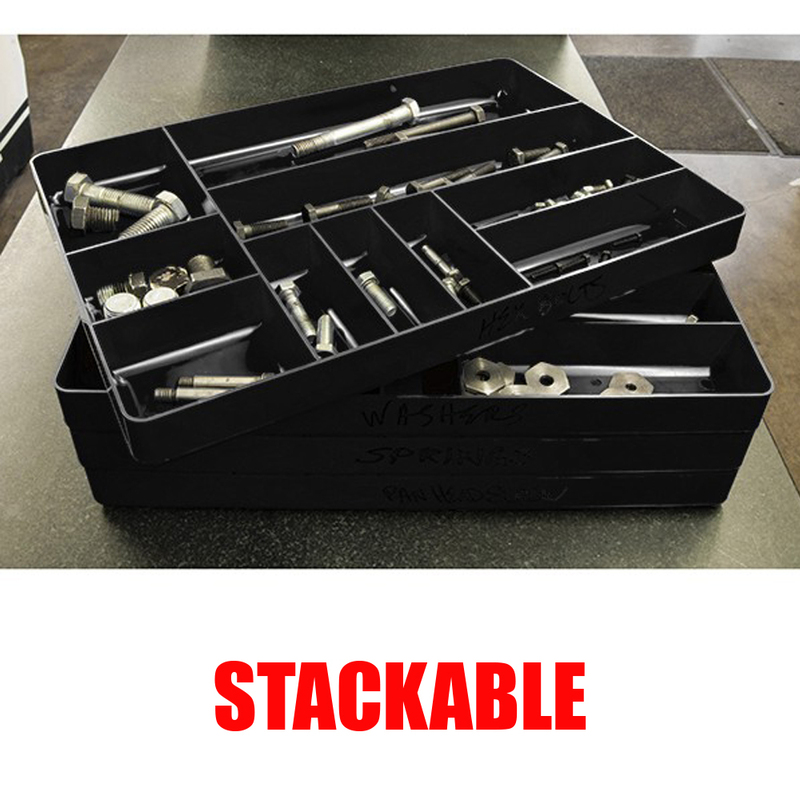 Total order must be $3,500 or greater with a 60" Toolbox to receive 5% off. We stand behind all our products. All Stealth Specialty Tools products have a LIFETIME GUARANTEE. Warranty does not cover freight to or from our warehouse. Delivery costs for replacement parts are to be covered by the buyer.